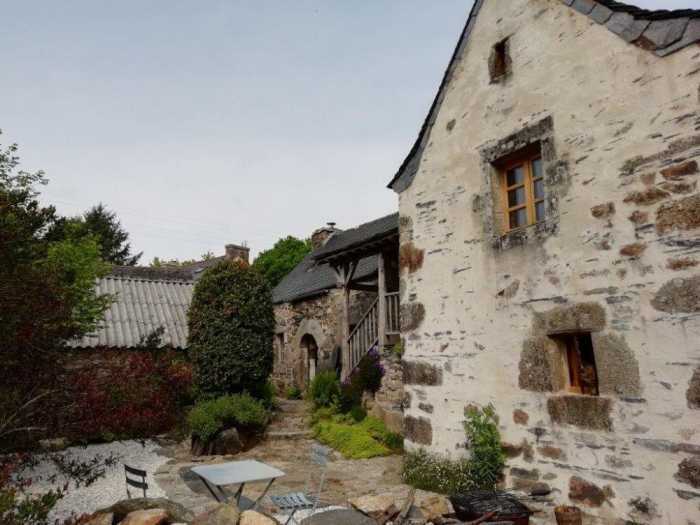 Located in the heart of a typical hamlet of the Arrée Mountains, this house has undergone a complete restoration in the early 2000s. Originally a house from 1680 and an older one united together today, offer a beautiful surface of 154 sqm. Kitchen (wood fueled cooker that heats house), living room with fireplace, bedroom with bathroom, bedroom with bathroom, bedroom with bathroom, bathroom with toilet, bathroom with toilet toilet. Upstairs, landing, bedroom, living room with fireplace with large mezzanine above and a third bedroom. Small outbuilding for storage, 650 sq. Ft., About 650 sq. Ft. Renovation needs to be continued, with ecological materials (lime-cork-based insulation) and ecological heating mode (wood-solar panels) for those who are sensitive to the charm of the old. This renovation is successful, so much so it does not show! To live in this house is to live as before! . Heating: Wood/cooking stove feeding a hot water system with radiators. The hot air balloon is heated by the stove and solar panels.